I'm actually doing something a bit different at the moment: I'm playing 2 weeks' worth of games at the same time. 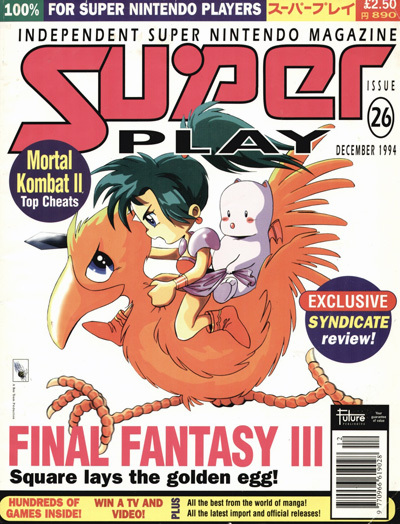 That means I'm taking occasional breaks from Final Fantasy VI to play Super Adventure Island II and Comix Zone. I wonder which will be finished first? 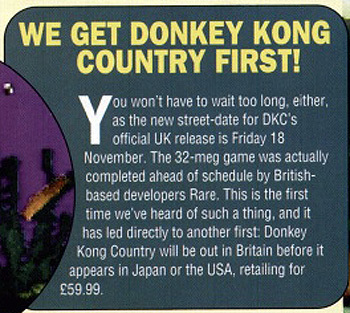 I seem to remember hearing something like this at the time: that because Donkey Kong Country was made in the PAL regions, we got it before anyone else. Very cool and very novelty! That artist's impression picture is actually fairly accurate, isn't it? What WERE they thinking...? 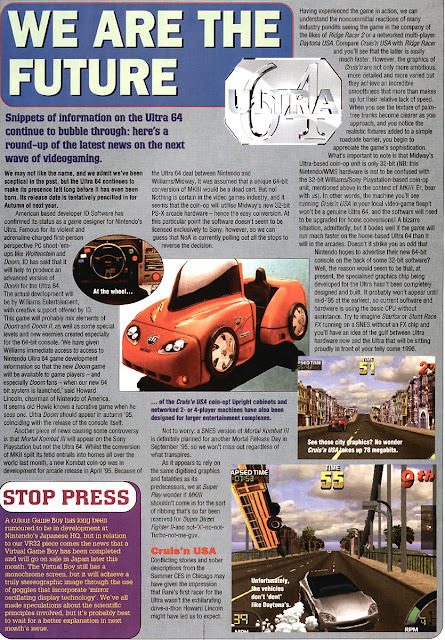 How funny is it to think that Doom64 might have been one of the most anticipated games for the system's launch? 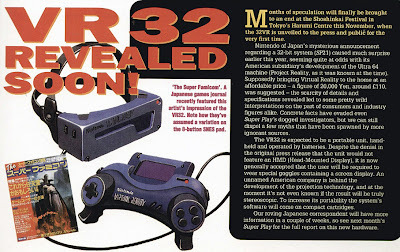 And yeah, any thoughts that the home console would run better than the arcade machines... that's just laughable. Look at Killer Instinct 2 for proof.